This Thanksgiving, why not combine the two most loved pie fillings and delight your guests with the ultimate Thanksgiving dessert: Pecan Pie Cheesecake!! Prep time is about 30 minutes. It’s Easy! This pie will serve 8-10 people. Preheat oven to 325º and spray an 8” or 9″ pie dish with cooking spray. In a large bowl, beat cream cheese and brown sugar. 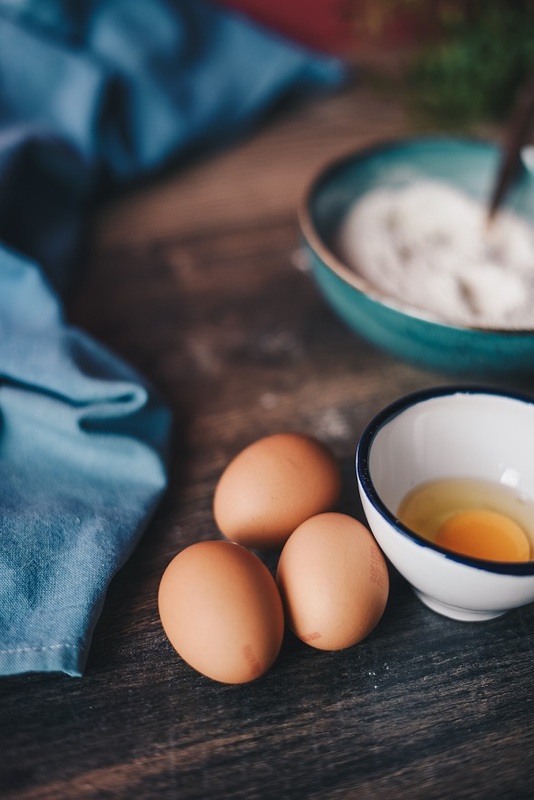 Add eggs, one at a time, then sour cream, flour, vanilla, and salt. In a large bowl, mix together graham cracker crumbs, melted butter, brown sugar, and salt. Wrap pan in aluminum foil and place on a baking sheet. Bake until center of cheesecake only slightly ‘jiggles’, about 1 hour 30 minutes. Turn off heat, prop open oven door, and let cheesecake cool in oven – 1 hour – then refrigerate cheesecake until firm, at least 5 hours and up to overnight. In a nonstick skillet over medium-low heat, melt butter and brown sugar until bubbly. Stir in cinnamon, heavy cream, and pecans until coated, then let cool. 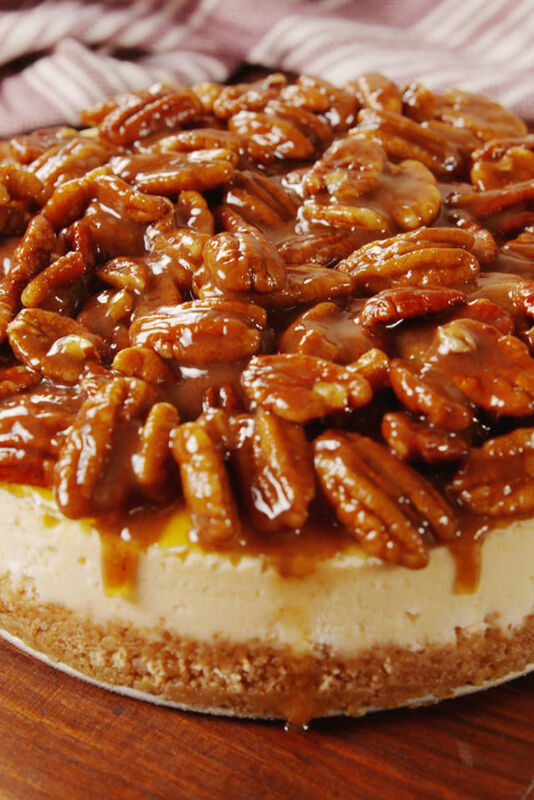 Spoon cooled pecan pie topping over cheesecake and … serve!